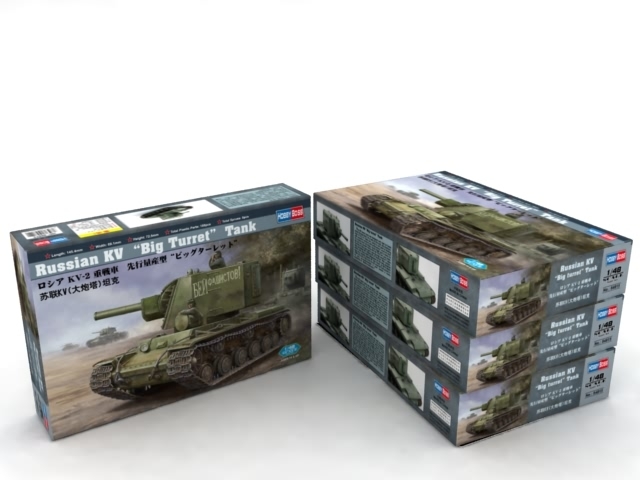 The KV heavy tank was designed and used as heavy break-through tank. 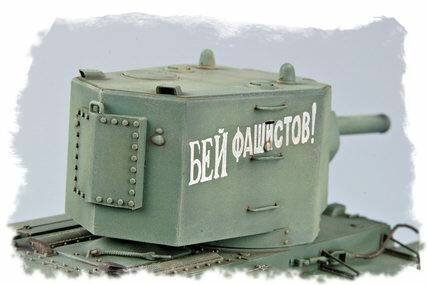 To a tank of this task, the shortcomings of its L-11 main gun, which is not good at dealing with enemies’ bunkers and fortifications, could be fatal! 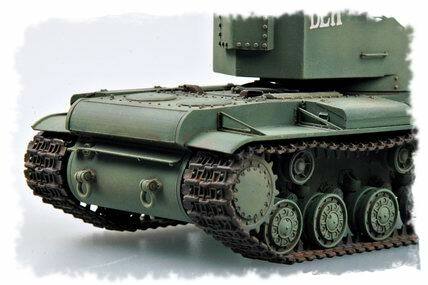 So a heavy tank carrying a much bigger gun to better do the job was created along side the 76.2 mm gun tanks. 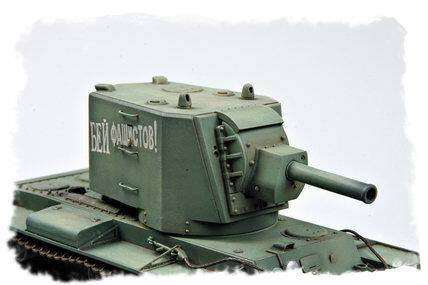 The first of this type uses a new big high turret of 7 sides that mounting the 152mm M-10 howitzer. 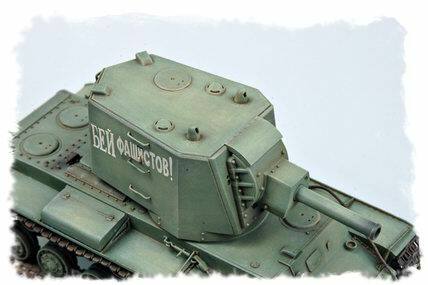 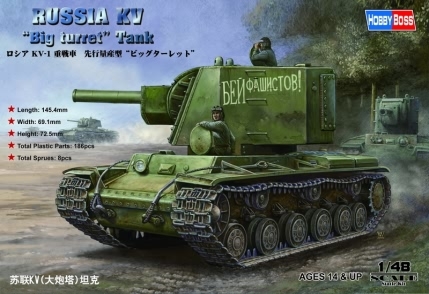 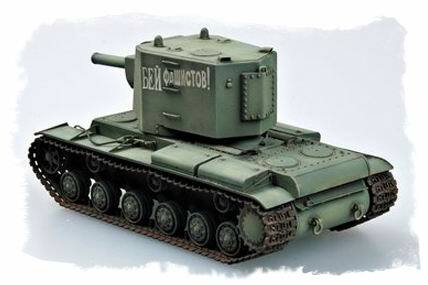 This version, which had many detail differences to the later standard type was usually dubbed KV ‘Big Turret’ or KV-2 Model 1939. 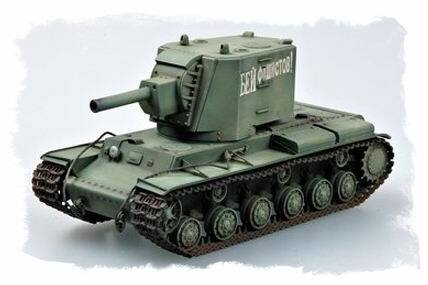 As such a big turret on the usual KV hull proved to be very un-maneuverable it soon earned a funny nickname of “Mobile washroom”!